If you live in a cold climate, you might feel limited to when you can plan your wedding. Not when you plan your perfect winter wedding on the beach. What a wonderful treat for you and your guests, to get a winter getaway and enjoy your glorious day. There are endless beach wedding ideas for the perfect day. 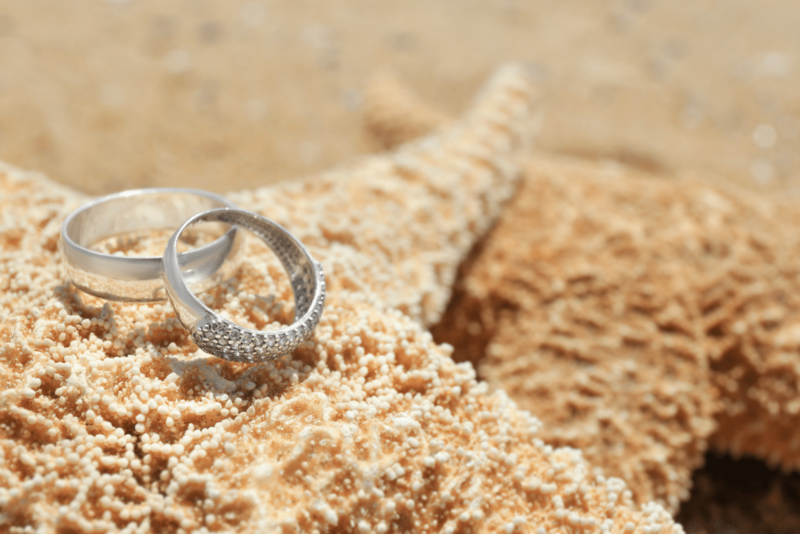 Daytime or evening ceremony, elaborate affair or a fun day at the beach. Of course, you need to consider the types of clothing best suited for the beach. Let’s take a closer look at some of the great bridesmaid dresses you can choose from that are perfect for the beach. One of the bests parts of a beach wedding, besides the weather and the beach, is that you don’t need to worry as much about the dresses. You can go with a light, easy fabric and a comfortable yet classy style. Unless you are considering a ‘trash the dress‘ ceremony, you can save a lot of money on the outfits. This is also a great idea of people need to travel very far. You don’t want expensive silk dresses getting ruined on the beach. You can find beautiful dresses that are not floor length. They will be a mess in no time, dragging through the water and the sand. Midi or knee-length is perfect or even shorter dresses are acceptable. Something more in the style of a cocktail dress can work well, as it’s classy, comfortable and you can wear it all day and evening. If you are having the ceremony right on the sand, then no one will be tripping over their hems. There are hundreds of styles to choose from, and you can even make small adjustments to dresses, like adding some lace or some other type of beads. If you have someone who can sew, buy some fabric and have the dresses made to order. They can each be a different style, yet all matching. Off the shoulder, halter-style tops or spaghetti straps look great and still allow for a bit of individuality. These are perfect for a beach wedding as they are so versatile and comfortable. The bridesmaids can adjust the dresses for the perfect fit, you can all have matching dresses, and they go from ceremony to dance without changing. The added bonus of wrap dresses is they are adjustable, to suit all body types. If you have to buy them without the whole wedding party in attendance, you have a far better chance of them fitting. Beach wedding ideas make such a fun and memorable wedding party. There is less stress, less worry and when you have a destination wedding, you can have everything taken care of for you. People can enjoy themselves, and the bridesmaids don’t have to worry about kicking off their pinching shoes. They didn’t need any. 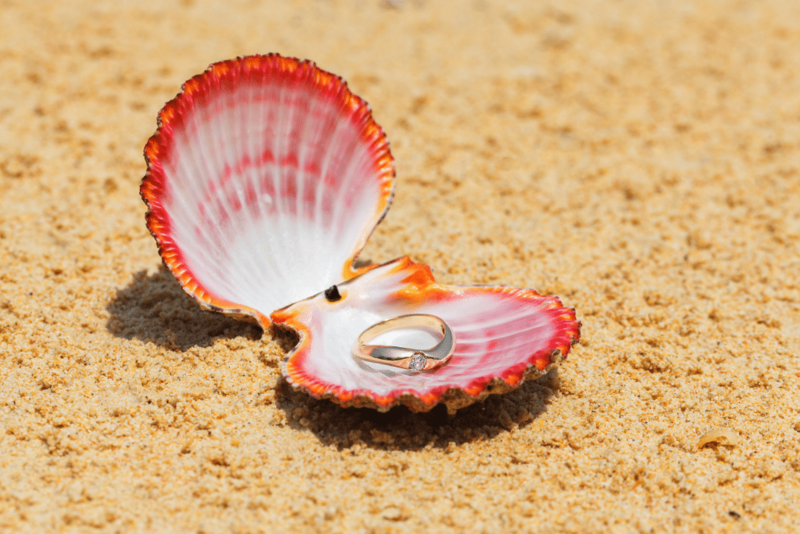 For information about a beach wedding and all the services offered, please contact us here.